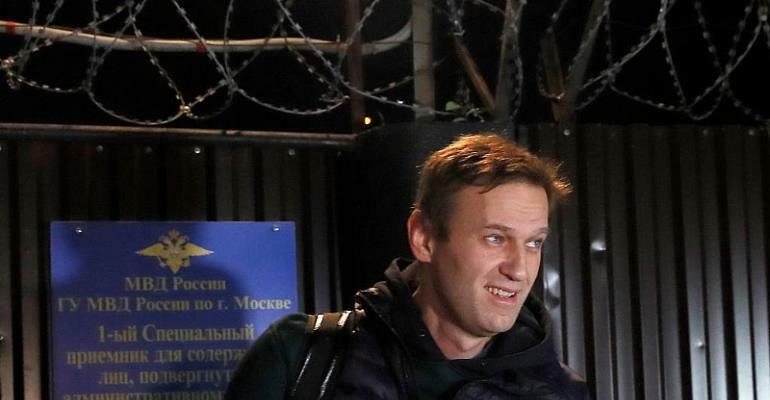 The Kremlin on Tuesday said it "cannot agree" with a European Human Rights Court ruling that said Russia had violated the rights of opposition politician Alexei Navalny in 2014 by placing him under house arrest. "It's quite unexpected," Kremlin spokesman Dmitry Peskov said. "We cannot really agree with it. But we have a justice ministry, it is their prerogative to deal with these issues," implying that Russia, not a court in the EU should have the final word. Alexander Navalny, an anti-corruption campaigner and opposition political activist, ran for mayor of Moscow in 2013 but lost against Putin's nominee, Sergei Sobayanin. Navalny is a fierce critic of the Russian president, trying to expose official corruption and organizing protests. In 2014 he was arrested twice, once for alleged involvement in fraud and money laundering, and once for participating in “unauthorized public gatherings”. He was prevented from communicating with anyone but his family and was fitted with an electronic bracelet. Since then, he was jailed twice for several months, but never gave up his activism. According to the European Court of Human Rights, Russia violated Navalny's “right to liberty and security” and his “freedom of expression”.